We are living in the most challenging times we have faced in generations. Are you in transition now? 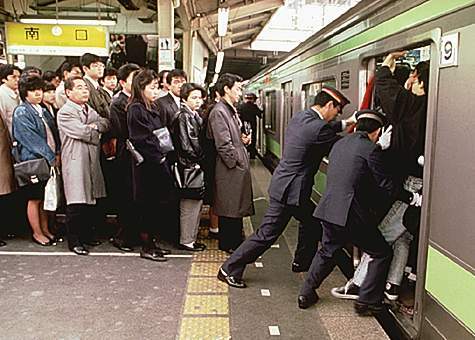 Do you feel like you are riding a Tokyo rush hour subway? Are you feeling squeezed by the enormity of the job search, crushed in the crowd competing for too few jobs? The good news is we are now starting a new year. We have a chance to start with a clean slate. I would like to talk about a few things that can help us all to soar free from being a commodity, and fulfill the purpose for which we are created. We are all created with specific skills and talents. We are all given passions and dreams. We are all given experiences to sharpen our skills and shape our dreams and passions. Here are some ways to focus your job search so that you can soar to your purpose. Dedicate full time hours to your job search. Research the industries and companies in depth, identifying common problems, issues and headaches within the industries and companies. If you do not spend at least 40 hours researching a company, you are not going deep enough. Brand yourself as the solution to the problems and headaches of your target companies. Spread your reputation as a professional solution by actively participating on committees and projects with professional organizations. Have informational meetings with industry leaders and decision makers to spread your reputation as a professional solution. Following the steps above is not easy. This is both good news and bad news. It is bad news, because it takes a lot of hard work and dedication. It is good news, because not many people are willing to go the extra mile and take their career Above The Rim. May 2012 be a year filled with blessings, one in which you leverage your skills, experience and passions to fulfill your purpose.